Good for... Blue Holes ! 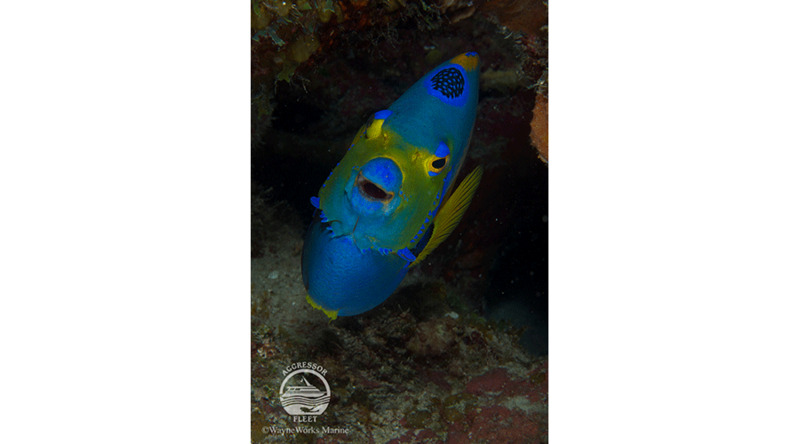 Highlights Dive the biggest Blue Hole in the world and the sublime reefs around Lighthouse Reef and Turneffe Island in one of all time great diving destinations. No dive log is complete without a diving holiday to Belize. 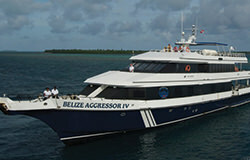 And now you can experience the second largest barrier reef in the world on board our luxurious Belize liveaboard. 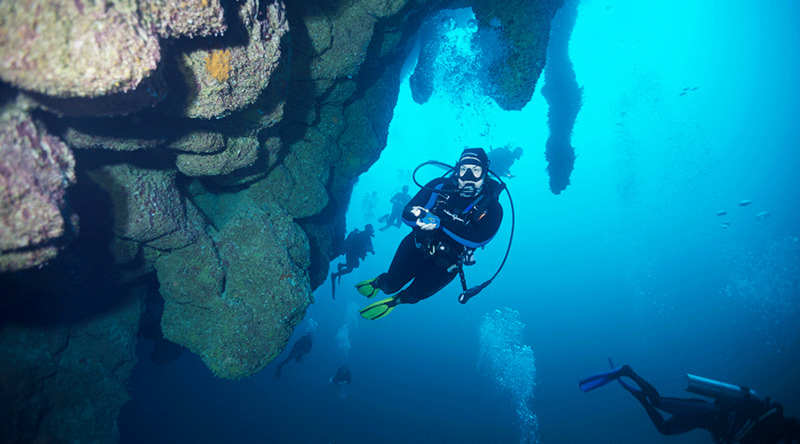 Follow in the footsteps of scuba diving's forefather and experience for yourself the rich and thrilling wall dives that made Belize one of Jacques Cousteau's favourite diving destinations. Departing regularly from Belize City, your Caribbean liveaboard quickly sails you to Turneffe Island and Lighthouse reef - all you have to do is sit back and enjoy the ride. From plunging walls to coral drenched mounds, sharks, rays and a multitude of reef fish await. Sail away with the experts for a diving holiday in Belize that is not only magical underwater but will leave you wanting for nothing. 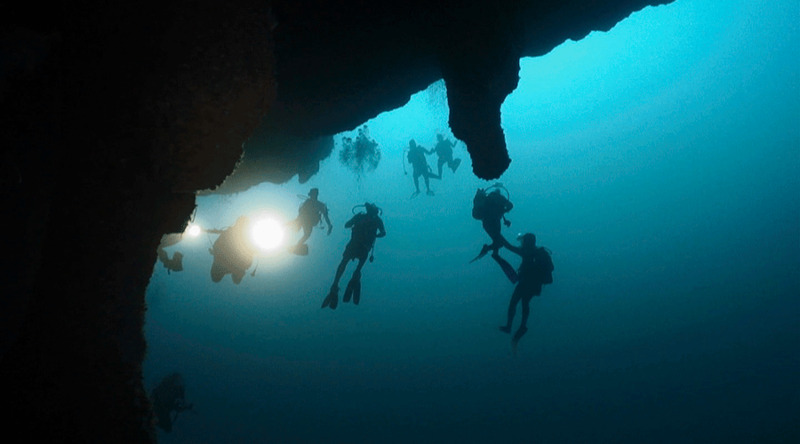 Most scuba divers will know of Belize's great Blue Hole and the Belize Discovery ensures that you can see for yourself this mystical formation. Deep, inviting and with an underwater scenery unlike anything you will have ever seen, this is a must see stop in Lighthouse Reef. But the other sites you will visit will also stand out in your logbook for their excellence. Deep vertical walls draw in eagle rays and reef sharks. Wait quietly on the drop off and you may even see hammerheads. Hidden on a ledge you find grouper, tarpon, lobster and crabs. 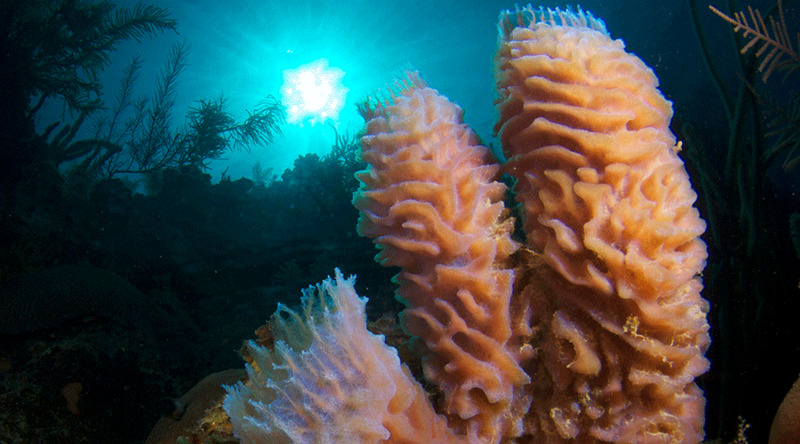 Everywhere you look, giant tube and barrel sponges sit alongside rich hard and soft corals. 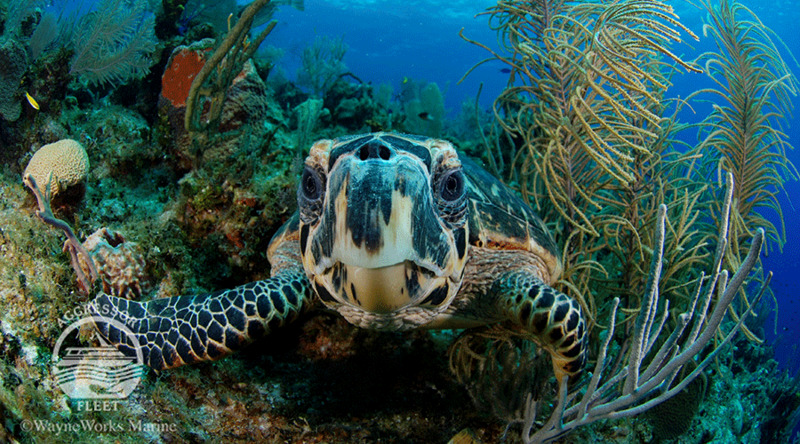 Hawksbill and green sea turtles perch on the reef top to chow down on the soft corals. Look out for nurse sharks and southern sting rays on sandy patches. Silver sides, snapper and jacks whirl about you. 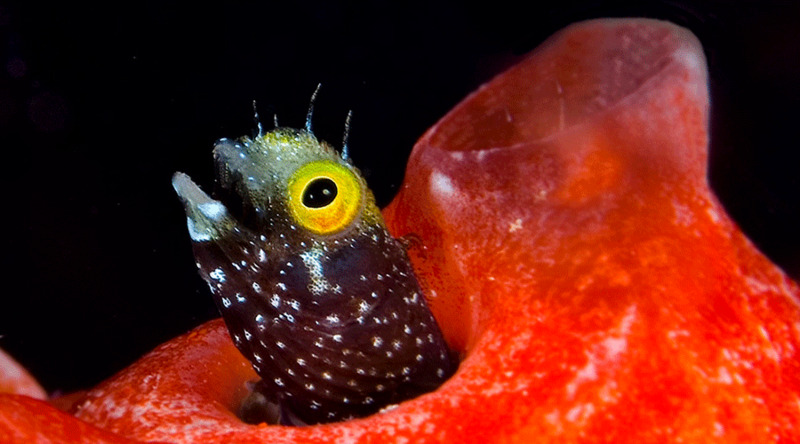 If you love macro, then hunt out the many species of blenny and shrimps that nestle in the reef. 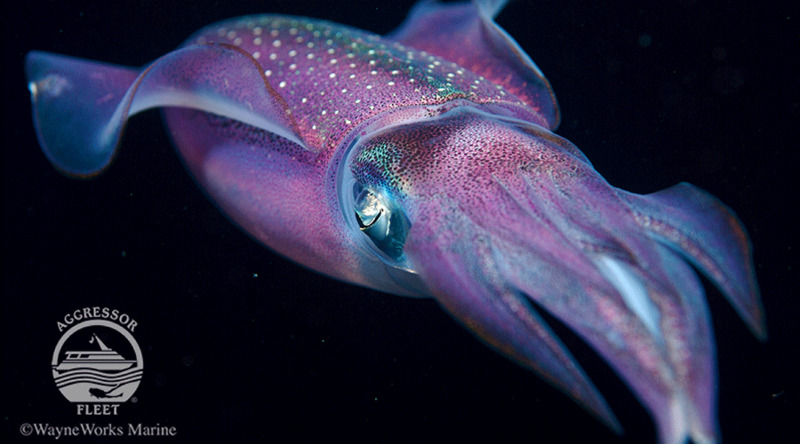 Belize is considered by many divers as the best macro diving in the Caribbean. Elbow, Cathedral. Elk Horn Forest - these are the names you will remember forever. 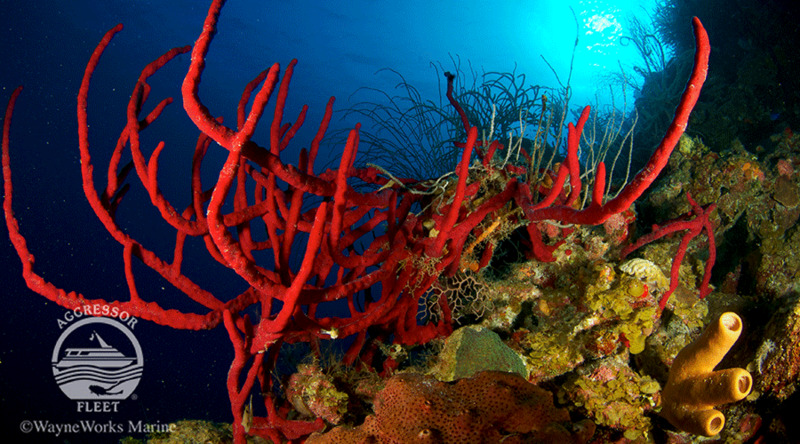 Many divers love the Belize Discovery so much that they cannot help but return year after year. But if you have always hankered to visit the Caribbean but were not sure where to go, make sure this itinerary is on your list. Novice divers will get as much enjoyment from the diving as more experienced divers looking for a fresh challenge. Grab your camera to record the splendour - you will want to photograph all that awaits you and on board photograhpers and videographers of all ability are well catered for. To dive Belize on the Belize Discovery is to see the greatest dive sites this area has to offer and satisfaction is guaranteed! Flight to Belize City will normally route via the States - you may need an overnight en route. On arrival in Belize city, you will then be met and transferred to your liveaboard in the afternoon where you can then settle into your cabin. The boat will depart once everyone has boarded around 18:00. Dinner is served and the Captain will give a welcome briefing. After sailing out from Belize City to Turneffe Island, the diving begins apace. Triple Anchor which, as the name suggests, is home to 3 anchors well hidden under corals and sponges. There is a cleaning station frequented by eagle rays here. Head round the headland for Black Beauty, where turtle and eagle rays play. 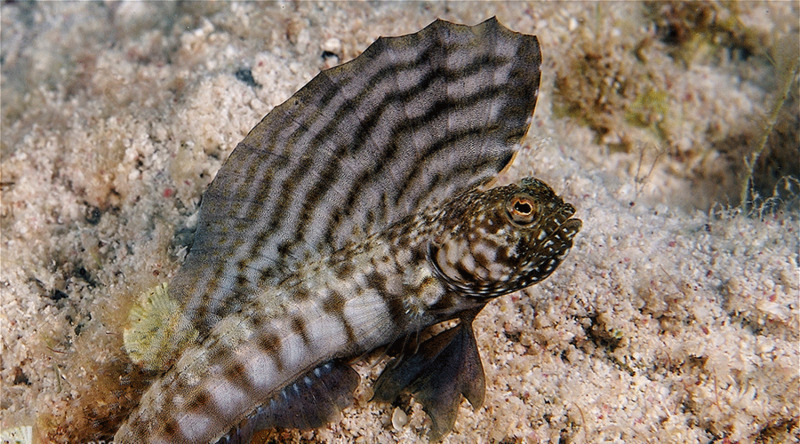 Grand Bouge is where you can hunt out the rare white spotted, white lined and large eyed toadfish. At Turneffe Island one of the most popular sites is Elbow. 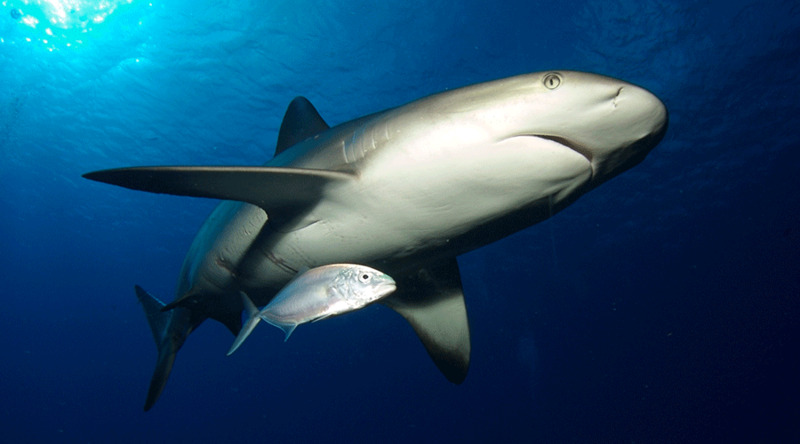 If you are going to see hammerheads it will be here but even if they are not around, reef sharks and rays are common. 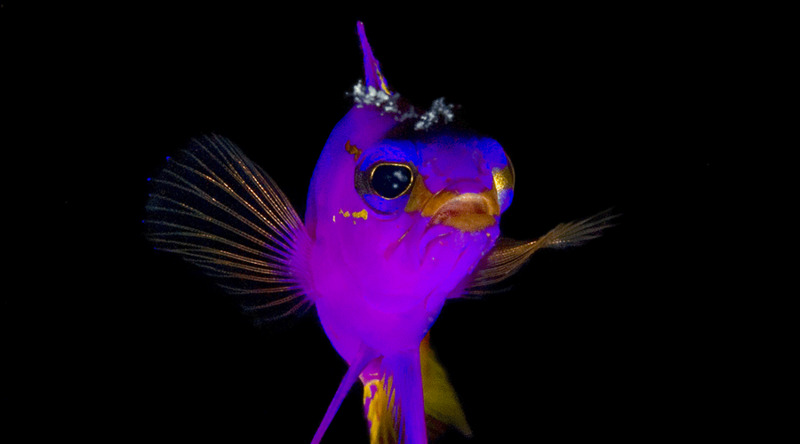 Finish off your day diving at the Sayonara wreck before the final night dive of the trip. This atoll is the home to some of Belize's all time great dive sites. At Cathedral the reef creates steeples rising up. Black groupers, 3 types of angelfish and silver sides are all found here. Long Caye Wall is packed with eels and great sponges. Quebrada where there is always plenty of action. Green morays, spotted drums, crabs and tarpon are always seen here. Tarpon Cave is a vertical wall drenched in enormous yellow tube and monstrous barrel sponges. Garden eels, midnight parrot fish and southern sting rays are all seen here too. The tunnels and chimneys shelter tarpon and grouper. Elk Horn Forest is an astonishingly healthy forest of elk horn corals and nursery for juvenile fish. Angelfish Wall is the place for grey angelfish, who will pose for pics, and small fish life in droves. Half moon cay is a fun dive where you can swim through tunnels and clusters of snapper. The boat will also moor up for a chance to go ashore to the bird sanctuary. Nurse sharks are often found around the dock. 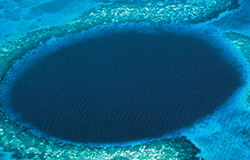 Dive the great Blue Hole! 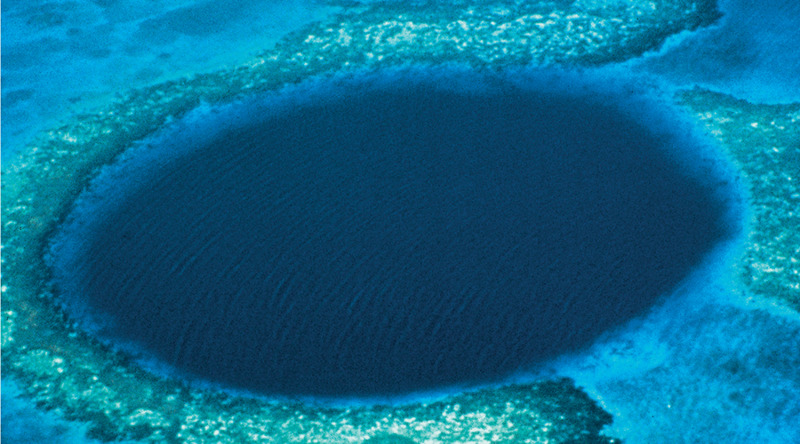 This is the largest blue hole in the world made famous by Cousteau. There are several ledges leading down and stalactites cling to the wall. This needs to be seem to be believed. 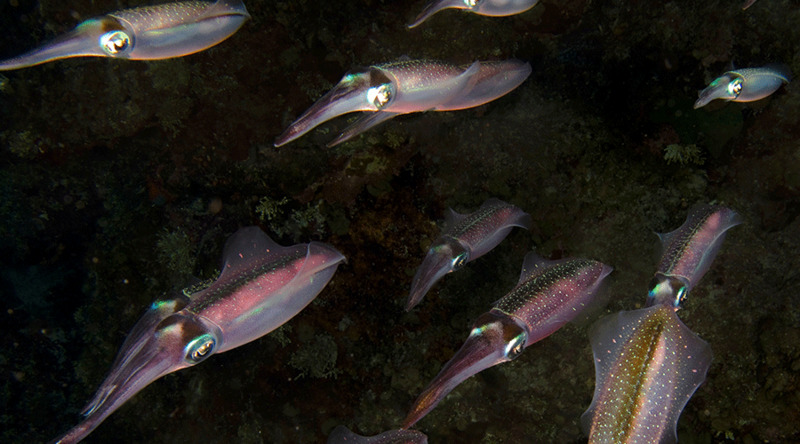 Squid, flamaing scallops and angelfish are all found here. Near to the Blue Hole are yet more outstanding wall dives. West Point 1 and 2 are nearby dive sites. There are wall dives with deep gorgonians, red finger sponges and barrel sponges. southern sting rays, peacock flounder and pike blennies are top spots here. At Eagle ray wall looks out for them passing but arrow blennies and decorator crabs are good macro spots too. 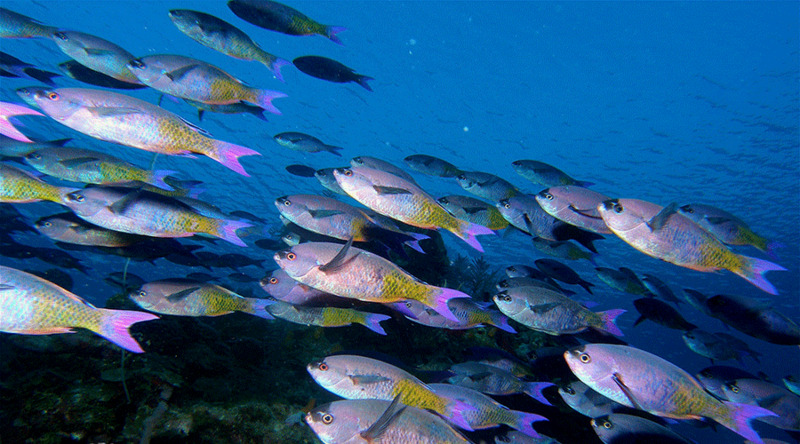 Painted Wall is a stunning dive with clusters of painted tunicates, black surgeon and queen trigger fish. 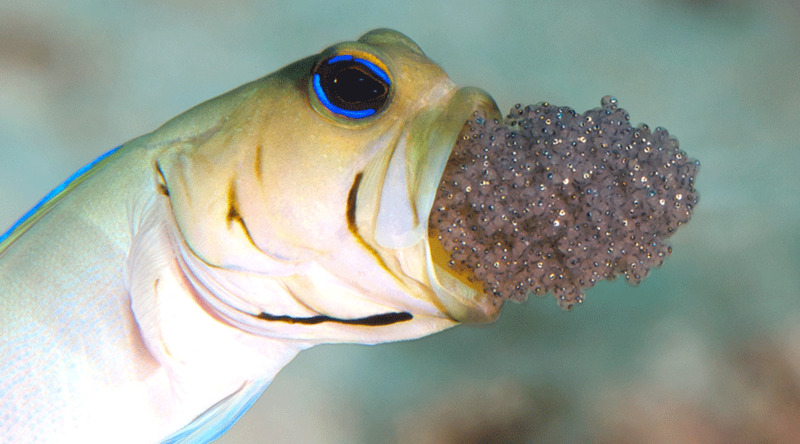 The Aquarium will amaze with hoards of fish but also reef sharks and green sea turtles. Diving will finish in the morning and the boat returns to harbour at approx 13:00. If you want to go ashore and see on the city of visit the Mayan Ruins this can be arranged (local charges apply). There is a farewell cocktail party in the evening and dinner is ashore at a local restaurant. On the final morning you will wake up to breakfast before departing the boat around 8:00. You will then be transferred to the airport for your return journey home.